GearBrain tests Cassia Networks Bluetooth Router and other connected devices for today's smart home. A year ago, GearBrain reported from CES on several smart home devices controlled via Bluetooth Mesh. At the time, this was new technology, expanding the coverage area within a smart home through multiple Bluetooth devices. Cassia Networks was one of the first companies to take this new technology and create a 1,000-foot range. They also figured out how to create a 250-foot radius for the average home even if the walls were made of concrete. We decided to do a deeper dive into Cassia Networks and their smart home products. Here is our review of Cassia Networks Bluetooth Router and connected smart home devices. Cassia Networks is a technology company that builds next generation IoT solutions for consumers and businesses. They use Bluetooth technology to help extend the range and functionality of connected devices and unlock the power of IoT in the home or office. The company was founded by a former Cisco engineer, Felix Zhao, who built his own wireless mesh company called Azalea. He chose Bluetooth to connect Cassia devices because of its open platform and universal presence. After unpacking all the devices, the first thing we did was hook up the Cassia Hub. The hub offers both wireless and Ethernet connections. It is recommended you plug-in the Ethernet cable to Cassia Hub and then into your router for setup. Once you complete the setup, you can then move over to a wireless connection. We did test trying to setup the Cassia Hub up on a wireless connection and it did not work. There were no issues when we connected the Hub via Ethernet connection. I would recommend after powering up your Cassia Hub, to download the Cassia app on your smartphone. The app is available for iOS and Android devices, and also helps with connecting your Bluetooth devices. 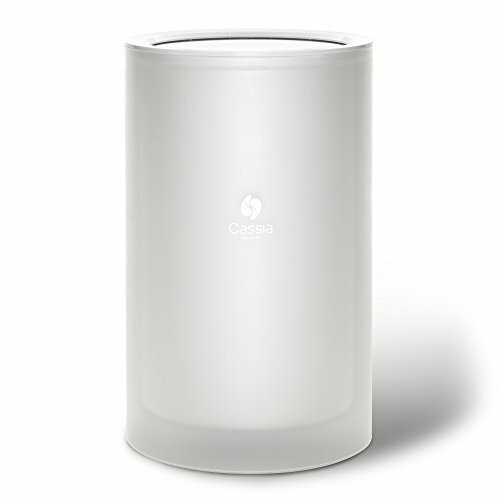 When connecting your Hub to your router, you need to know Cassia Hub only works with 2.4 GHz wireless networks. If you have a 5GHz network, Cassia will not work with your network. Most devices today offer dual mode and can support both connections. Cassia Hub does support both Bluetooth Classic (2.0) and Bluetooth Low Energy (BLE) 4.0) devices. Check your mobile device settings to make sure you have the right connection. Once you complete your Cassia Hub setup, consult the Help section in the app for any additional assistance if needed. Once we had the Cassia Hub set up, we started connecting other Cassia Bluetooth devices. You can pair up to 22 BLE (Bluetooth low energy) devices with the Cassia Hub. Pairing is very easy using the app, although we did experience a few problems. Although the Cassia app helped us find other Bluetooth devices (i.e. Bluetooth smart locks), it couldn't connect to them. We were surprised and didn't understand as they were Bluetooth enabled. We decided to consult with Cassia to determine why this was happening. Cassia informed us Bluetooth Low Energy devices employ standard Bluetooth profiles but each manufacturer implements their own custom code on top of the standard BT profile. While the Cassia Hub is device agnostic—and can detect and connect to most of these BLE devices—the Cassia Hub does not understand the custom language that the device manufacturers have written on top of the standard Bluetooth profile. For instance, if you have a Bluetooth Hub and want to connect to a BLE device in the same room, you will be able to see the device but there is a chance you will not be able to connect to it, as the devices are speaking different languages to each other. Imagine one is speaking Spanish while the other is speaking English and both don't understand what the other is saying. Thus, you will see the BLE devices in the Cassia app listed under "Other devices" but can't do anything. Cassia is addressing this issue by working with all BLE devices manufacturers on incorporating their new SDK into their cloud servers or app. Cassia's SDK provides the translation necessary for their hub to speak the same language as the manufacturer's devices. This is important to know prior to purchasing Cassia Hub. We recommend you check to make sure your connected devices work with Cassia before purchasing the product. Here is a link to Cassia's website that shows the devices they can connect with using their hub. Cassia Connected Home Kit products were very easy to connect to the hub. This package is a good starter kit if you want your smart home platform to be on Bluetooth. We tested connections by using their Smart Plug as a timer for one of our lamps. Smart switches and LED bulbs are good alternatives to light timers which many people still use today but are a pain to set up and schedule. Smart switches, plugs and bulbs make it easy for you to get the right settings at the start and make changes when needed. Cassia Smart Plug is controlled through the app and you can create scenes. This process is a little tougher than other smart home device apps but we were able to get the right scene scheduled. We added to the scene Cassia Smart LED bulb and we had no issues. Next up we started connecting Cassia speakers. Size = Width - 2.56 in., Length - 2.56 in., Height - 6.30 in. Bluetooth profiles supported = A2DP, HFP, HSP, and ACRCP. Since there are a lot of Bluetooth speakers on the market, you can either use your own or Cassia's speakers to get the sound you want from your favorite music source. In the Cassia app, you will see BlueStream. This is a service that allows you to play music using all your favorite music streaming apps from your Bluetooth enabled devices. Just make sure you enable it in the app and then go to your smartphone settings to make sure you pair Cassia BlueStream. Once completed, you are good to go and stream music from any source on your computer. You can also stream local audio files from your smartphone as well as from SoundCloud. (Also in the app.) Note you need to pick one source though. 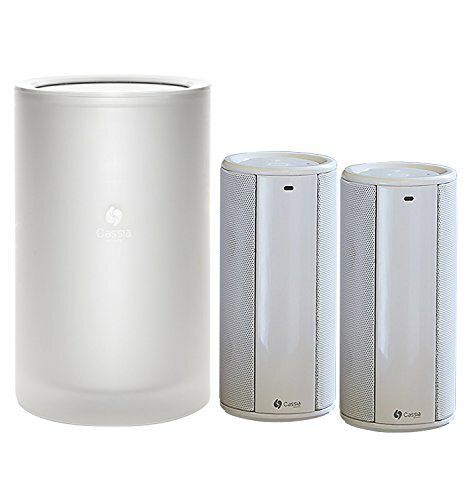 You can't stream music to one Cassia Speaker using your computer and then another music source from your smartphone to the other Cassia speaker. Overall, streaming music to Cassia Speakers is a nice and easy to use feature. One of the fastest selling new smart home devices is Amazon Echo and its little brother, Amazon Echo Dot. One of the biggest differences between Amazon Echo and Echo Dot besides the cost (about $130) is the Dot doesn't have a speaker. If you buy the Echo Dot and want to play music using Amazon Alexa, you need to pair your Dot with a Bluetooth speaker. We tested pairing Cassia speakers with an Amazon Echo Dot. To pair you Amazon Echo Dot with your Cassia Speakers, you will need to use the Alexa app. Just go to the settings tab in the Alexa app and select your Echo Dot, then Bluetooth. You will come to a screen which will show you all the Bluetooth devices available to connect. Select BlueStream Hub and it will begin pairing your Dot with your Cassia speakers. Please note when pairing any audio source to Cassia Hub you need to make sure your source is close to the hub (i.e. in the same room or a wall away). If not, there is a chance the connection will be spotty or it will not pair. For our test, we tried doing both types of connections and found being in the same room as the hub was easy and the best way to go. Being in another part of the house did not work as well. We could connect but the signal was in and out. Once you do pair your Bluetooth speakers, you can now use Amazon Alexa to stream your favorite music through Cassia Speakers or any Bluetooth speakers connected to Cassia Hub. When starting to build your smart home, one of the first things you need to decided is which platform or wireless protocol do you want. Is it an open system like Wi-Fi or Bluetooth? Or do you want more of a closed system like Z-Wave or Zigbee? If Bluetooth is the platform you choose, then Cassia is a system you need to take a good look at for your smart home. 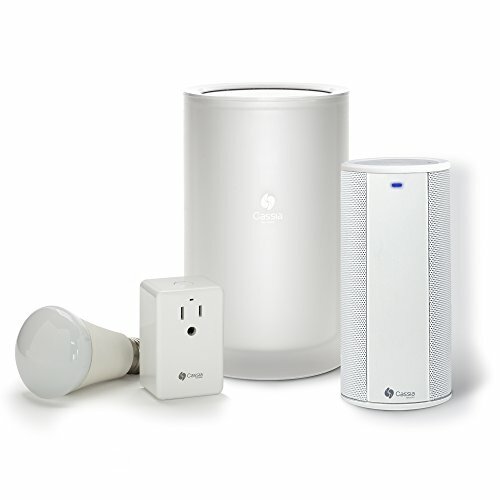 It's easy to setup, cost efficient and easy to add more devices as you learn which connected devices you need for your smart home. Overall, GearBrain likes Cassia and how their technology can help extend the internet signal within a smart home. Extending wireless service in the home is becoming more important each day as millions of consumers buy more connected devices. Cassia's engineers have designed a smart tailored antenna which meaningfully improves the Bluetooth router's sensitivity, plus they invented noise canceling technology and related algorithms. This helped the signal travel through walls and other objects. It's this type of technology that can help make for a good smart home experience for today's home owner.